More music news in the latest edition of the BSE flow: Kids in Concert and the Mary Lyon Foundation Lyonnaise. Pick up a copy locally or check out the digital version with this link. This is the 10th anniversary of Kids in Concert. Music teacher Sandy Carter is pleased to report that Buckland Shelburne Elementary will have about 50 performers at the concert, which includes musicians from the 4th, 5th and 6th grade of elementary schools in the Mohawk Schools Districts: Buckland-Shelburne Elementary, Colrain Central School, Hawlemont Regional, Heath Elementary, and Sanderson Academy. The concert is Thursday, April 30, from 6:30pm - 8:30pm, with performances by the band, chorus and a string ensemble. Featured this year is a song that was arranged by local composer Alice Parker, who will be in the audience for the performance. 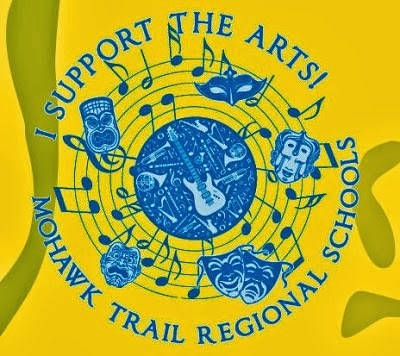 The Mohawk Music Association will once again be providing ice cream to the performers after the concert. Mohawk High School and Middle School choral ensembles will be performing at the Mary Lyon Foundation Lyonnaise on Sunday, May 3, from 2pm - 5pm at the Shelbune Buckland Community Center on Main Street in Shelburne Falls. The Lyonnaise celebrates excellence in local education. Both events are open to the public and admission is free.